JW Associates has extensive planning experience, particularly with the National Environmental Policy Act (NEPA) for federal agencies. As a company we have completed more than 12 NEPA projects. Our senior staff have completed more than 50 NEPA projects. 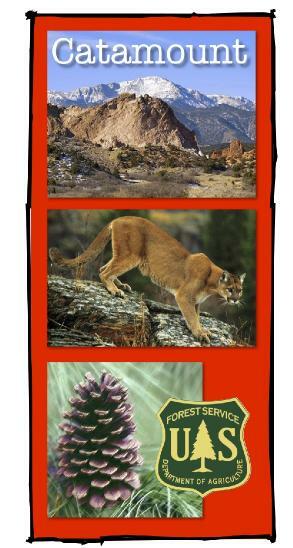 We have completed NEPA projects for the US Forest Service, BLM, National Park Service, and GSA. Partners on these projects have included many other agencies and stakeholders. Mr. Piehl has completed 25 NEPA projects himself including many EAs. In 2002, he participated as a subject matter expert in a modeling exercise designed to identify process difficulties with the NEPA as applied to USDA Forest Service projects. This project (Reflecting Complexity & Impact of Laws on a USDA Forest Service Project) was used as support to Process Predicament – How Statutory, Regulatory and Administrative Factors Affect National Forest Management, a policy document that the Chief of the USDA Forest Service issued. Below are three examples of Environmental Planning projects that we have completed. Following these examples is a linked list of other planning projects. The Catamount Forest Health and Hazardous Fuels Reduction Project will create more sustainable forest conditions that are more resilient to fire, and insects and diseases while providing for diverse wildlife habitat, recreational opportunities, sustainable watershed conditions and increased fire fighter safety. This project analyzed options for reducing the density of juniper stands within the sage steppe ecosystem on 6.5 million acres of Forest Service and Bureau of Land Management lands in northeastern California. This project was a programmatic approach to landscape-scale restoration of the sage steppe ecosystem. The West Rim Project was completed for the US Forest Service in the Black Hills of South Dakota to reduce the wildfire risk and potential of Mountain pine beetle infestation primarily in Ponderosa pine forests. The project area was 53,157 acres in size and included Spearfish Canyon, an important recreation and cultural area.